Since taking over the estate in 1975, the grape varieties we planted were typical Gaillac varieties. Little by little, the selection was narrowed down to the most characteristic grapes of the appellation. For our red wines, we mainly use 2 native varieties, Duras and Braucol, and a little Syrah. In 2009, we planted an ancient local grape, Prunelart, thus fixing our estate yet a little further in the Gaillac tradition. The total surface is about 25 ha. Our white wines are made from Loin de l’œil (2/3 of the surface) another old Gaillac variety, unheard of elsewhere, with a little Sauvignon blanc, on a total surface of about 10 hectares. It’s a very old local grape, so old that its origins are believed to date back to Roman times. Its story is rather different, because genetic analyses shows that its parents are “Tressot”, an old burgundian variety and “Savagnin”, the white variety today grown in Jura. On which occasion were the two of them married? And how did their son, Duras, end up in Gaillac? A facetious monk? A genious selector? The mystery remains intact, and may perhaps never be solved! The first written records mentioning it date from the 15th century. Above all others, this grape variety is yield sensitive, and this needs to be taken into account. It is particularly well adapted to the region. Neither too early nor too late, the wines made from this grape are quite intense in colour, with a reasonably low level of tannins, quite a high alcohol level, but very round and supple. Levels of malic acid in the musts are high, and so the wines conserve a note of more than welcome freshness. A peppery aroma is typical of this grape and they mingle with notes of red fruit (cherry, redcurrant). It is particularly representative of the Gaillac appellation et makes a large part of our blends, depending on the vintage and the wine (Renaissance and Les Gravels). 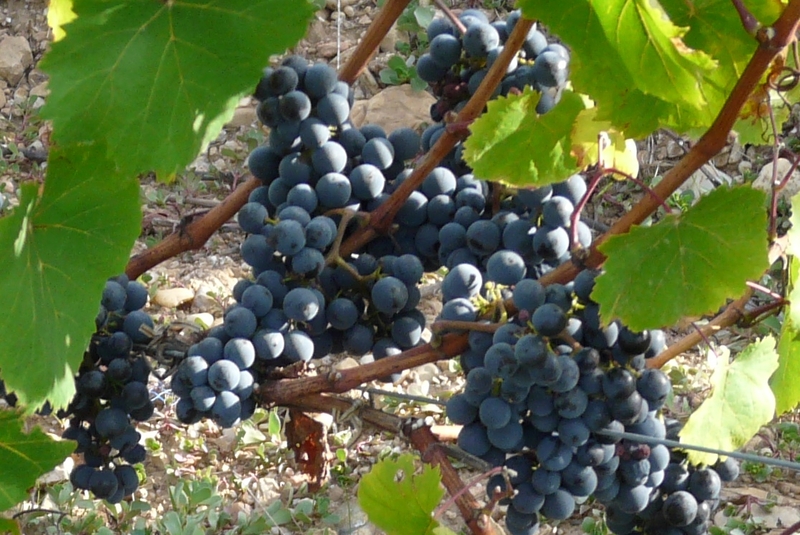 Duras grapes are at the heart of « l’Ame ». This grape from the South West is thought to have originated in Spanish Basque Country. 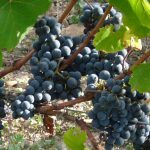 It has travelled a lot since, and can be found in the Pyrenees, in Vendee, Gironde, Gaillac and in Marcillac in the Aveyron region. It more or less followed the way of the St Jacques de Compostelle pilgrims (on the way back). 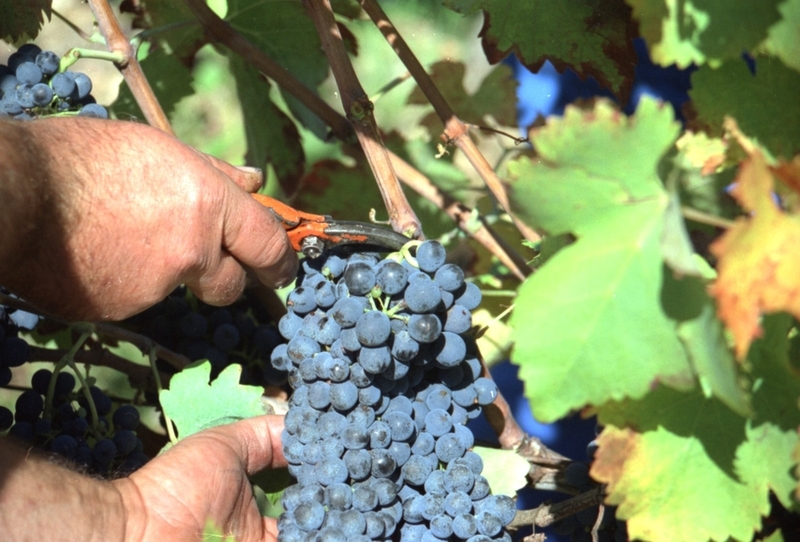 It belongs to the big family of Carmenets, which includes Cabernets. Fer comes from the latin word ferus, meaning wild, and Servadou meaning that keeps well. 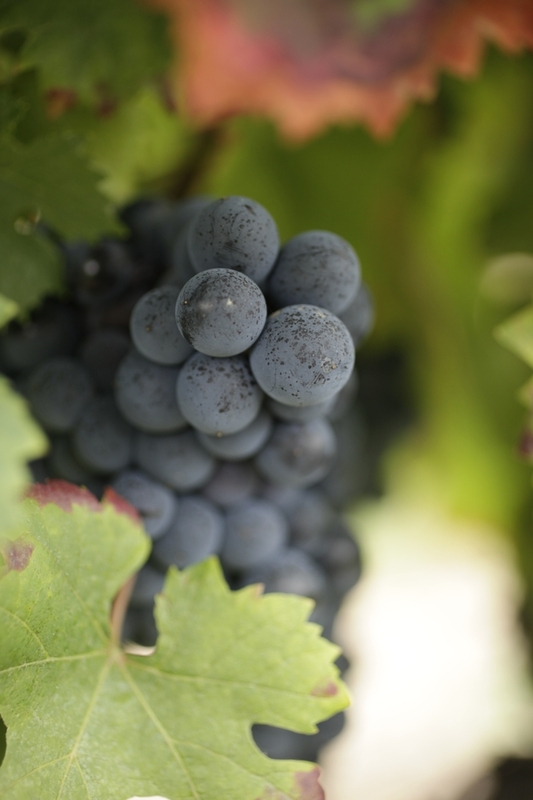 The grapes do indeed resist quite well against mould, and the rather tannic wines they produce tend to age well. Why this grape is called Braucol in the Gaillac area remains a mystery. It would appear that it has been in the Gaillac for several centuries, but never really predominated. Today, however, its one of the most important grape varieties in the red Gaillac AOC. Wines made using braucol are usually quite intense in colour and quite tannic; depending on the age of the wine, the aromas range from capsicum to blackcurrant. Its a late variety that must be left to ripen as long as possible in order to avoid vegetal characters in the wines it produces. Thats why, here at Domaine Rotier, we prefer a low yield harvest for this grape so that, whatever the weather at the end of harvest time, were sure that the grapes are ripe enough. The miracle grape! 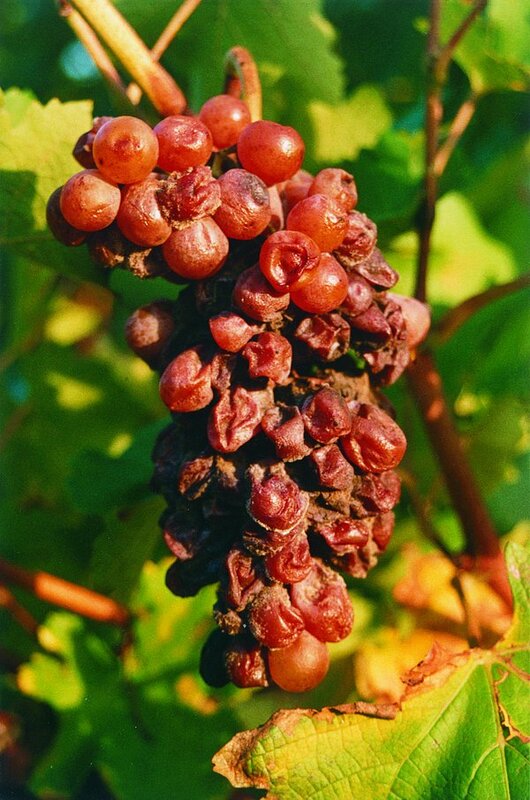 Dating back to the Middle Ages, this grape was once used to make Gaillac red wines. The phylloxera plague did a lot of damage, and up until 20 years ago there were only 10 hectares of Prunelart vines left. A few persistent producers managed to save it from falling into oblivion, then cultivate it, with the result that it is now authorised in AOC Gaillac blends. Here at Domaine Rotier, we planted a hectare of Prunelart in 2009. 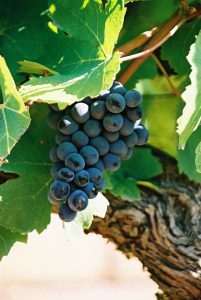 It’s part of the extensive family of Southwestern grape varieties, and recent genetic research has shown that it’s the ‘Daddy’ of the Cot (Malbec) grape. This grape variety originated in the north of the Rhone Valley, and was first planted in the Gaillac area at the end of the Fifties. It thrives on the Gaillac soil where its in similar climatic conditions to those in the North Rhone Valley Syrah does very well on our gravelly soils, where it fits in with local grape varieties. It brings body and colour to the wine, as well as fruit of the forest and spicy aromas, and floral notes (violet) when its very ripe. This grape variety gets it name from its appearance. The bunches are situated near the front of the branch, and have a long peduncle. As such, they are far from the eye (the bud) of both the branch and the bunch. A more fanciful version says that the bunches are far from the eye of.. the harvester, and thus some of them get left behind ! Very little is known about the history of this grape. It seems to have been present in the Gaillac region for a very long time. It was probably used in blends of sweet white wines which were very popular in England, Flanders and Holland in the 17th and 18th centuries. In the 19th century, it made up 30% of the blends of Gaillac white wines. 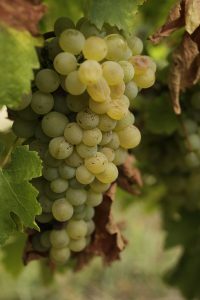 This grape variety produces big bunches which tend to over-produce if not clipped ; this is one of the reasons why until the 1990s, it was not particularly appreciated and was only used for lesser quality dry white wines. We started using it for our dry Renaissance in 1989, and were very happy with the results. We were among the first to use it to make sweet white Gaillac wine in 1994, and thats when it really showed what it was made of! The grape variety soil climate balance is perfect: the Loin de l’œil ripens quite early, usually around September 15th 20th, and rots easily, but the grapes dont burst (as long as the trunks arent too loaded). The Indian summer that frequently occurs in the Gaillac region and the southwind that goes with it, concentrate this rot in just a few days, thus becoming noble rot, and yields very sweet grapes. And that’s the story of how this ancient grape variety came back into favour. But could it really be possible that the previous generations never noticed these qualities? Or rather did the Benedictine monks of St Michels abbey chose it for those very qualities? 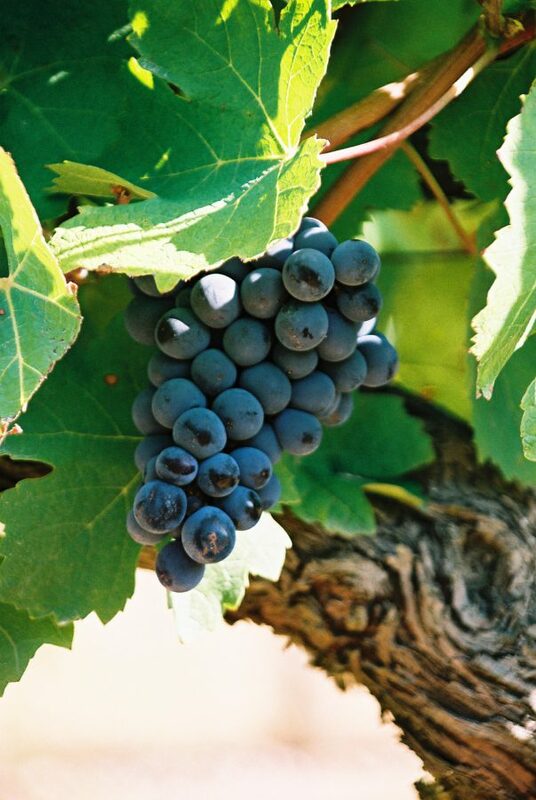 Famous the world over, this grape originally comes from the South West and belongs to the cabernet family. We use it to supplement our sweet and dry white wines (Les Gravels).